The railroad lines, and the limitless job opportunities that came with them, brought a great number of families to the Inland Northwest in search for better lives. 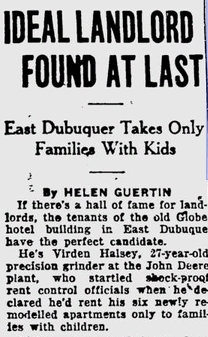 Seeing the need for inexpensive housing, inland investor Henry Sorg built the Globe Hotel in 1908. Sorg called his newly constructed building the "Janet Block," named after his wife. The hotel, however, was nicknamed the "Globe," to illustrate the hotel's exceptional hospitality to all travelers and immediately reached full capacity. 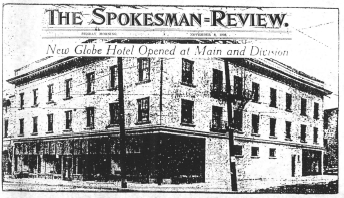 As a Single Room Occupancy (SRO), the Globe offered private, semi-furnished rooms to working class laborers, the backbone of Spokane's prosperity. The interior space of the Globe Hotel is typical of all SRO's of the time. It had retail spaces at ground level, a centrally-located lobby, and small single rooms on the upper floors. The lobby's green, gold, and cream tin ceiling is its most notable feature. Some rooms contained closets and private bathrooms, which was a rare luxury for the time. 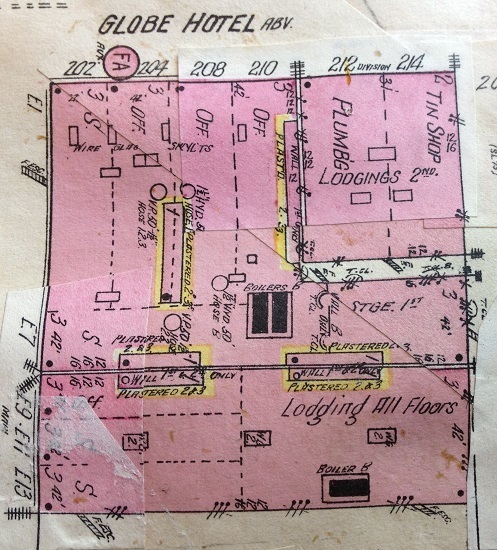 In 1908, the Globe Hotel had 72 rooms and 30 private bathrooms. Each tenant had a telephone, electric ceiling light, a sink and a brass bed in their room. The Globe also offered natural light and fresh air in each room, unusual for an SRO of its vintage. The Globe Hotel rises three-stories, but was constructed with sufficient foundation strength to accommodate three additional floors. 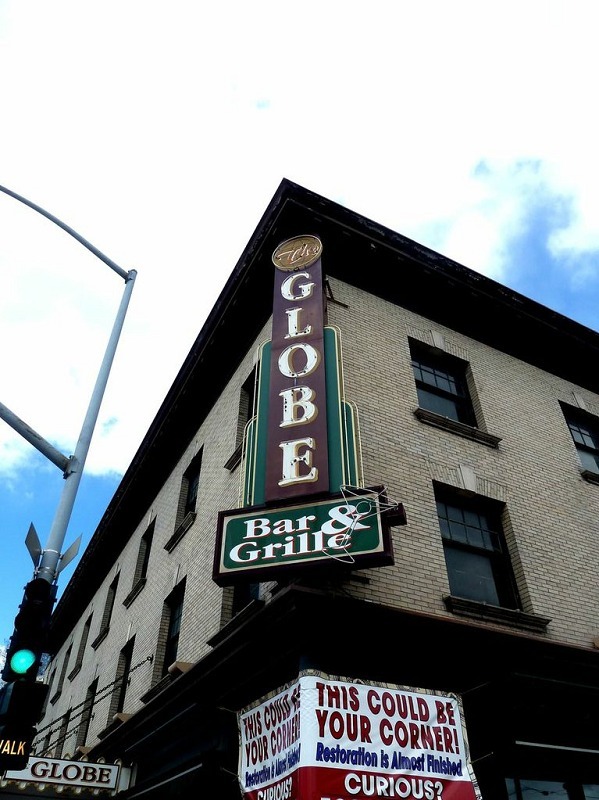 The building adorns a recessed plaque declaring the block's name "Janet," as well as a marquee spelling "The Globe," which hangs from the building's entrance. In the 1970's, extensive alterations were made to the Globe. The most significant change was the development of the building's interior to make it more versatile. 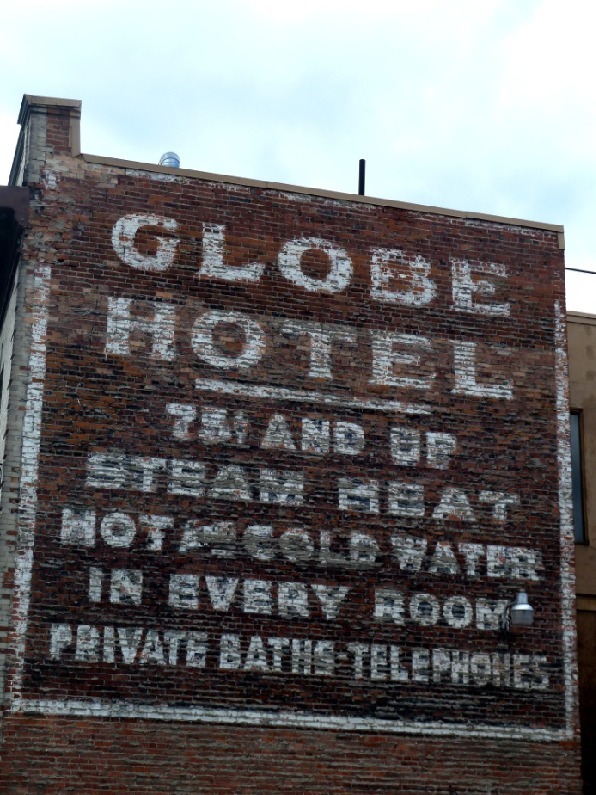 Unfortunately, the original Globe Hotel marquee was lost; the one before you today is a replica. After Henry Sorg died in 1941, Janet Sorg managed her husband's real estate investment company for a short time. Albert Held, the Globe's architect, was responsible for many other prestigious Spokane buildings, including the Holley-Mason building, Lincoln School, and the San Marco Apartments. 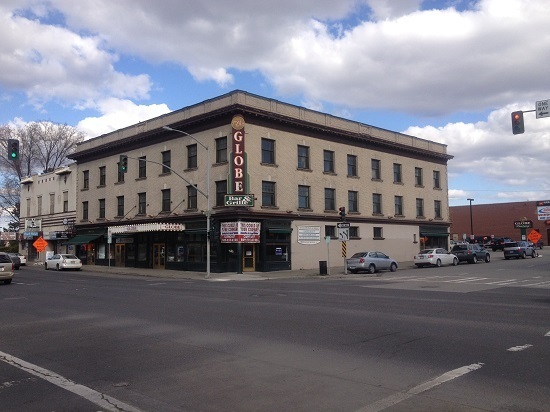 Lacey Sipos, “The Globe Hotel,” Spokane Historical, accessed April 20, 2019, https://spokanehistorical.org/items/show/324. Durham, Nelson Wayne. History of the City of Spokane and Spokane County, Washington: From Its Earliest Settlement to the Present Time. Vol. 2. S.J. Clarke Publishing Company, 1912. Hyslop, Robert. Spokane's Building Blocks. Spokane, WA: Standard Blue Print Co. Inc., 1983. Yeomans, Linda. 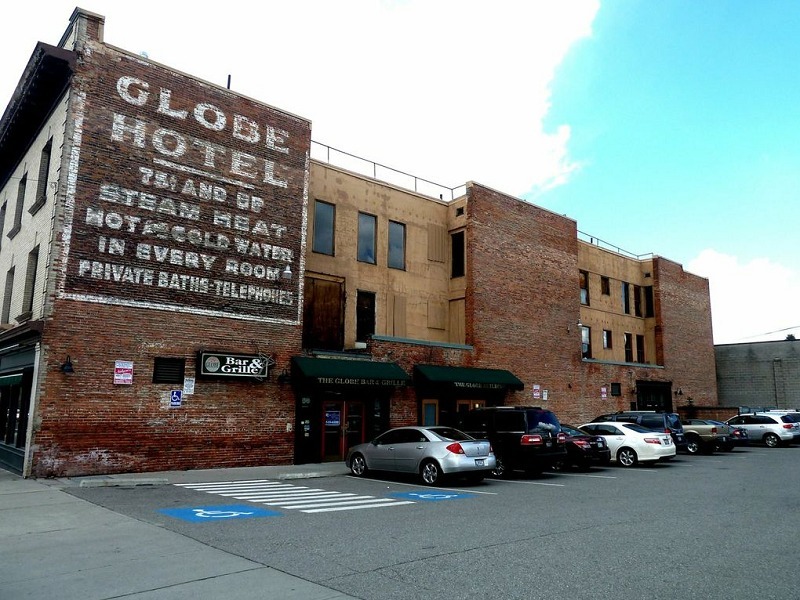 "National Register of Historic Places Registration Form: Globe Hotel." National Park Service, December 31, 1996.